The two most popular superheroes of all time aren't always on the same side! 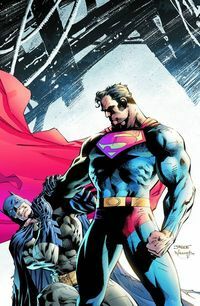 This collection captures some of the most incredible and memorable clashes between the Man of Steel and the Dark Knight. Legal Notice: Entire contents trademarked (® or TM) and copyrighted (©) 1986-2019 by Things From Another World, Inc. and respective copyright and trademark holders. All rights reserved. Page rendered at 2019-04-19 08:00:37 in 0.491 seconds.